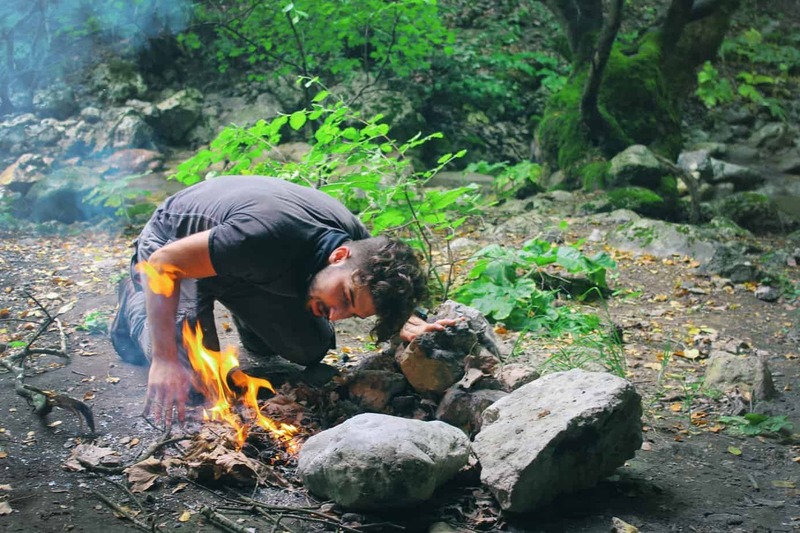 There are plenty of packs on the market made for weekend backpacking excursions but most fall short of the brand’s promises, with even fewer being easy on the bank account for the more casual camper. Thankfully High Sierra created an exceptional backpack that is versatile, durable and comfortable. High Sierra is very much a lifestyle driven brand, meaning that the equipment they produce isn’t just for looks or the sake of using the latest technology. Their motto is “Practical Performance. Details With Difference. Outdoor Active. Real Energy.” and their products definitely live up to a stand of being unique, user-friendly and built for true performance. Since 1978 High Sierra has been creating backpacks and their Explorer 55 model certainly follows suit. The High Sierra Explorer 55 backpack had been redesigned in 2014 with a brand new fit and additional features. Both the older model and the newer one are equally highly praised. Some of the following features of the Explorer 55 may be present in the older model, but this list will be focusing on the redesigned 2014 model. The Explorer 55 naturally has a 55-liter gear capacity with dimensions of 30” x 14” x 8” (3,356 cu. in.). Total weight is 4.5lbs since this an internally framed backpack. The shoulder harness system is High Sierra’s ERGO-FIT which properly distributes weight on the shoulders. The shoulder straps are easily adjustable and comfortable, as they are padded with dense foam and have HEX-VENT mesh lining. The adjustable hip belt is a super important part of this deluxe style backpack as it takes the brunt of the weight of your load. Internal framing in the form of super lightweight, contoured aluminum stays ensures your backpack stays rigid enough to support heavy weight while still engaging the hip belt to keep your back and shoulders safe. The hip belt is also made of mesh for ventilation. The molded foam back panel of the Explorer 55 is made of High Sierra’s Airflow technology which adds padding for comfort but also has built-in channels to get the air circulating. This makes this model ideal for hiking in cool weather up to pretty hot temperatures. Hikers/campers that prefer using hydration bladders or reservoirs can use their favorite with this backpack as there is an internal sleeve as well as two ports for tubes depending on which side you prefer your mouthpiece. Keep in mind that this backpack does not come with its own reservoir but the sleeve is compatible with various brands. The main compartment is loaded from the top and has a tight drawstring closure. 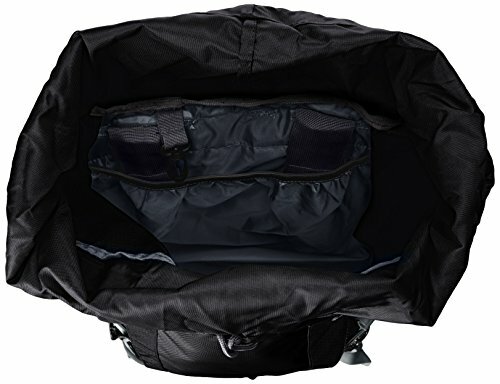 Even though the drawstring-style closure isn’t waterproof, the top lid of this backpack prevents water, dirt, and debris from getting into the main compartment. There is also an expandable collar on the main compartment so it allows bulkier loads without gaping. Sleeping bag compartment is accessible externally from the main compartment and is able to accommodate single person bags, double person bags, and bulkier insulated bags. Straps on the front of the backpack can also be used to store a sleeping bag if you wish. There are various straps, loops and daisy chains all over the backpack which you can use to attach tools and gear. An additional pocket located on the front flap can also be used to store tools like a small, foldable shovel or you can store other bulk items in it. There are also numerous pockets for additional organization and storage options. Aside from internal pockets, external options include double mesh pockets on both sides of the backpack for water bottles and a media storage shoulder pocket for a phone, camera, GPS, handheld radio, etc. The backpack has compression straps on the body of the bag so you can cinch down your load to make it more compact and stable. The Explorer 55 is a super durable backpack as the body primarily consists of 1680 denier ballistic strength nylon, which is typically used for military bag purposes. Additionally, other parts of the bag utilize a diamond ripstop nylon which is lightweight and tightly woven for impenetrability. The tight weave also makes this backpack even more water resistant, but it does come with a rain cover for protection against bad weather. 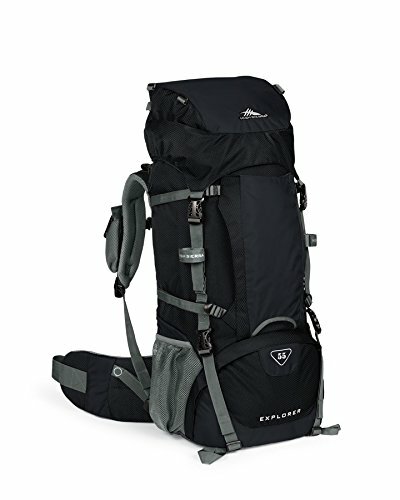 Original Explorer 55 backpacks were unisex in fit but the 2014 Explorer 55 is labeled as a female-specific fit on the High Sierra website. However, even the new model still fits men very well. The bag also comes in 3 different gender-neutral colors. High Sierra made this model very user-friendly and an excellent beginner weekender-style backpack, but also appropriate for someone more serious that requires a lot from their gear. It’s hard to find a backpack capable of handling 30-40lbs of gear comfortably that doesn’t break the bank. People who may only go on weekend excursions a few times a year or are still unsure if they are into the hobby can still buy something that will last them a long time without it hurting their finances. I found mine at this listing for about 60% off of the list price. Unisex bags tend to not fit women, especially petite or curvy women, well because of their body shape. Since the new model is designed with a slimmer female shape in mind, it will feel more secure. Men can still wear this bag comfortably, as well as older youth. A huge advantage of this bag is how many straps, loops and tool attachments it has. A lot of introductory-style bags lack storage and external organization. If you using trekking poles, ice tools, and other similar items, you can attach them safely and securely. Even though the body of this bag allows you to cinch down your gear, the top pocket doesn’t have this option. Unless this top pocket is filled fairly close to capacity, it may flop around while moving which can become very annoying. The sleeping bag compartment is 8” x 8” x 12” which is large enough for most sleeping bags but super thick insulated bags like you’d take on a winter trip may not fit very well. If you plan on going on a lot of winter camping trips you should probably look into a different model. This bag still supports almost any 3-season gear you can think of, however. New backpackers who need something big enough to get them through a weekend or even a week in typical 3-season weather will be very happy with this backpack. More experienced backpackers that need a backup model will also be content with the technology and design of the Explorer 55. 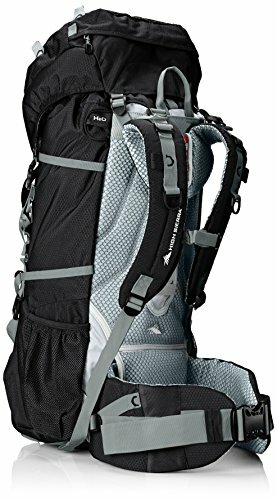 Overall, this backpack is a great example of the quality of the gear High Sierra still produces. Additionally, this brand offers guarantees and accepts returns so if you decide this may not be the right bag, you have that option.